What is it with violence against women? Trigger warning for this story and the links contained within it. In the Observer last week, the story of ‘Tanja’ revealed the systemic abuse of women in Yarl’s Wood immigration centre. Since its publication, other women have come forward to corroborate her story. One of them, a Nigerian woman resident in the UK since 1999, revealed that “[s]ome of the women are succumbing to whatever they are being propositioned to do. Another woman, from Lesotho, who has been detained twice in Yarl’s Wood, which is run by private sector outsourcing giant Serco, has kept in contact with other detainees in the centre and provided further details. “They give these ladies the impression that if you sleep with them they can help by putting in a word for you to be released or help with your case. The issue of consent and the lack of it is an interesting one here, with the abuse of power at its very heart. She said the women in the centre “are some of the most vulnerable you can imagine. Many have escaped horrific abuse in their own countries; most are very isolated from friends and family. In the Telegraph, Natasha Walter questioned whether there is a case for detaining women in immigration centres at all. “Although many British people are unaware of the fact, women who have sought asylum can be locked up for any amount of time in the UK. This can have a shocking effect on women who are already traumatised from the abuses they have fled,” she writes. This is not the first case we have seen where women already traumatised have been effectively retraumatised at the hands of private sector companies in the interests of saving public funds. 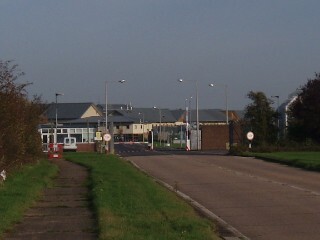 WVoN has previously reported on a number of serious concerns raised by social enterprise Kazuri about G4S’s provision of housing to asylum seekers, including housing which has been deemed unfit for human habitation; allegations that G4S has ‘ignored’ housing problems, despite complaints from residents; and complaints of intimidation and sexual harassment. Despite worrying failures to deliver, G4S, and other corporations like it, continue to be awarded lucrative government contracts, not least in the violence against women sector. More broadly, cuts to the public sector are directly affecting the ability of women to withstand and challenge such failures. Yet, he continued, “she will not be able to carry on bringing cases like this to the public’s attention for much longer” because of the cuts to legal aid – introduced by the coalition government. These cuts will affect the ability of lawyers like Wistrich and her clients to challenge state failures at all. Tooks Chambers, the firm that represented the family of Stephen Lawrence and played a role in the Hillsborough Inquiry, recently announced it is to be dissolved, citing the Coalition government’s cuts to legal aid as the reason for its closure. In a statement, Tooks Chambers confirmed that “[t]he dissolution of Chambers is the direct result of government policies on Legal Aid. The public service we provide is dependent on public funding. 90 per cent of our work is publicly funded. The ever increasing involvement of the private sector in the delivery of public services to some of the most vulnerable groups in society should have all of us concerned about the direction in which the public sector is headed. Moreover, the reluctance of the government to address the impact of their policies and procurement practices fails to provide those affected with much hope for the future. Activists are working hard to raise awareness of the impact of the austerity measures and privatisation of public services. One such campaign is 10,000 Cuts and Counting, a “ceremony of remembrance and solidarity for those who have had their lives devastated by the austerity programme, including more than 10,000 people who died shortly after undergoing the Atos Work Capability Assessment”. The assessments – described by the campaign as ‘degrading’ – are contracted to outsourcing company Atos by the government; Atos assesses the needs of people receiving benefits related to disability and ill health. Such campaigns rely on members of the public to get involved and express their dissatisfaction with government rhetoric and practice. Will people rise to the challenge? Or is the impact of the Coalition’s public sector policy still flying beneath the radar to a public often more interested in X Factor than the implications of their X at the ballot box? Nick Cohen provides a sobering summary on the case of Yarl’s Wood: “There are few votes in defending legal aid and none in defending public money going to that most despised group: illegal immigrants awaiting deportation. “Even Observer readers may not want to hear about them and would much prefer to see a piece on Miley Cyrus. “If so, don’t worry. By this time next year, the sources for stories like ours on the women of Yarl’s Wood will have disappeared. Although I am by no means saying that women cannot be abusive, perhaps the use of male guards in this facility should be questioned. Also women who have fled from abuse in their home countries should not be in a place like that but belong in a care facility where psychological help is available to them. Why are they being treated worse than criminals?However, I must say that this article is not really providing much information but is too emotive to enable an objective look at the issue. It starts of with sexual violence against female asylum seekers and ends with a criticism of Atos performance in assessing people with disabilities. Perhaps sticking to one problem at the time would be more effective. If you want to criticize the government’s spending cuts say so in the headline of the article but do not use sexual violence against women to make a political argument. Thanks for your comments Petra. I agree with you: I don’t think a detention centre is any place for women fleeing abuse and trauma, either. I feel somewhat sad to find myself typing that in 2013. In another role beyond WVoN, I’m a Writer in Residence at a frontline service working with victims and survivors of domestic and sexual violence called Aurora New Dawn. I can assure you I do not regard sexual violence, or any form of VAWG, as a device to make a political argument. As a writer embedded in a frontline service working with victims and survivors, I see how violence against women is very much part of political discourse, not least (or exclusively) in terms of the impact that creeping privatization of public services is having on VAWG services. I’ve written on this issue extensively for WVoN, for example on awarding contracts for Sexual Assault Referral Centres to G4S, for example, despite their failure to deliver other public service contracts. I appreciate there are rather a lot of issues raised in this piece, but there is a common thread through all these disparate cases – outsourcing public services to the private sector. As with the austerity measures more generally, many of the government’s outsourcing contracts are effectively re-traumatising women who are already traumatised. As I highlight in the article, the cuts to legal aid particularly are now impacting on the ability of lawyers like Harriet Wistrich to bring cases like Yarl’s Wood into the public gaze (hence the mention of Tooks Chambers). If we think these women are being failed now, I dread to think how the state will fail them when no one’s looking. This is intended as an opinion piece, so the commentary is deliberate. I’m sorry you feel this one didn’t work for you. I’ll take your comments on the chin, as I may well have thrown too many issues into the mix here, and perhaps the theme of the piece is unclear (my original chosen headline was ‘Privatization harms women’) – time and other commenters will doubtless tell. It may well also be that I am spending too much time researching outsourcing!